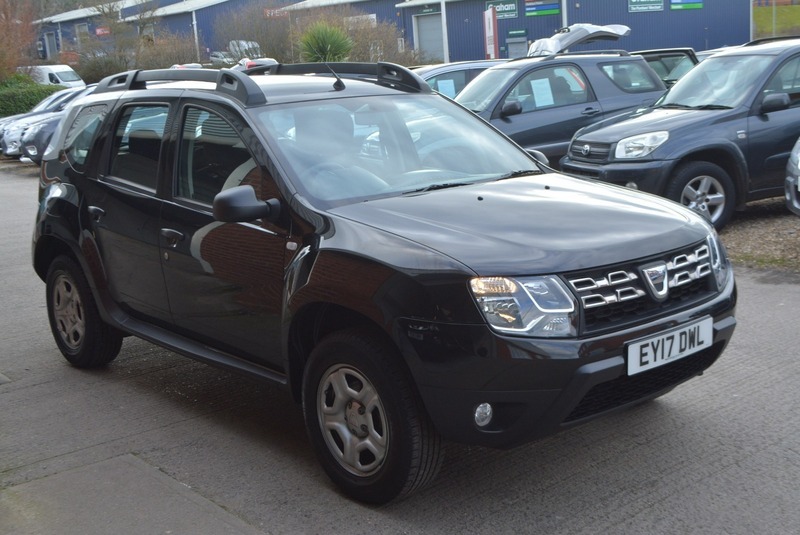 STUNNING LOW MILEAGE DACIA DUSTER AMBIANCE SCE 1.6L PETROL MANUAL SUV IN BLACK METALLIC WITH BLACK CLOTH INTERIOR IN TRULY EXCEPTIONAL CONDITION THROUGHOUT. THIS 'ONE OF A KIND' GENUINE ONE LADY OWNER FROM NEW HAS ONLY COVERED AN ASTONISHING 15,000 MILES, COMING WITH MAIN DEALER WARRANTY UNTIL MARCH 2020 AND NOT DUE IT'S FIRST MOT UNTIL THIS SAME TIME. OUR SALES PACKAGE ALSO INCLUDES A NEW SERVICE CONDUCTED AT POINT OF SALE, HEALTH CHECK AND 12 MONTHS AA BREAKDOWN COVER. COMING FULLY EQUIPPED WITH AIR CONDITIONING, REAR PARKING SENSORS, ELECTRIC FRONT WINDOWS, AM/FM STEREO WITH FRONT LOADING CD PLAYER AND BLUETOOTH TELEPHONE CONNECTIVITY, ELECTRIC FRONT WINDOWS AND TWO FULLY REMOTE KEYS.